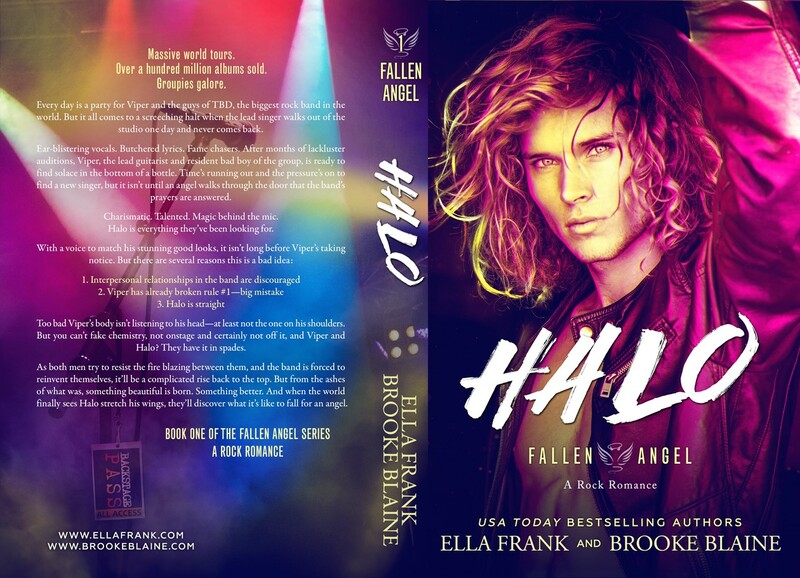 What’s not to love about a potential new lead singer who has the looks of an angel and the stage presence and charisma that could tempt even the most innocent…add in one deliciously devilish lead guitarist and what readers have are the two main characters in Ella Frank and Brooke Blaine’s newest release, Halo. I’ve read quite a few books written by these two authors and let me tell you…when they team up for any story, especially a M/M read, readers can rest assure that the sexual attraction and tension they create will push the characters’ boundaries and force their hands in ways that they never imagined, which is exactly what happens between Halo and Viper in the first book in their Fallen Angel series. It’s clear that Halo has no idea what he’s gotten himself into when Viper catches him in his crosshairs, but one thing is clear, Viper’s used to getting what he wants, not only because of his rockstar status, but also because he’s one heck of a flirt and as open and honest as someone could be, which means that despite Halo’s innocence and the fact that he’s straight, there’s something about the bad boy player that makes Halo desire things he never thought he would and it’s those uncontrollable ideas that both scare him and turn him on in an abundance of sinful ways. The way Halo and Viper’s story unfolds is most definitely a slow burn, which is exactly how it should be given the dynamics between them as well as everything they stand to lose if something interferes with the new opportunities that Halo brings Viper and the rest of the band the world once knew as TBD. 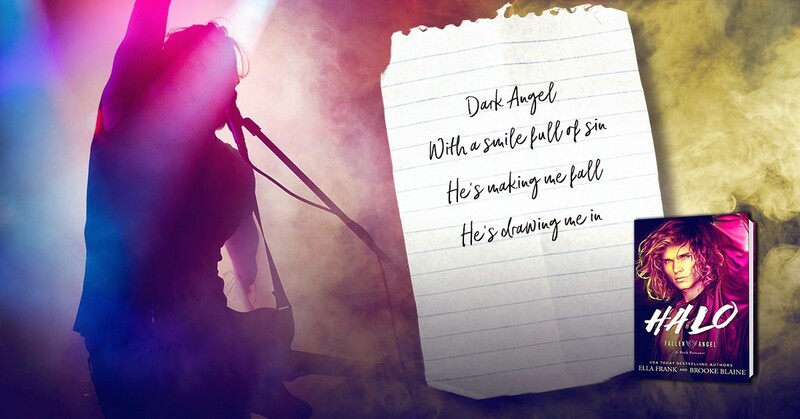 Halo’s music phenom status allows the group to reinvent themselves, to create a new sound – one that can restart their careers and keep them in the industry they love – but all that can change if they give into the temptation and lost they feel towards one another. 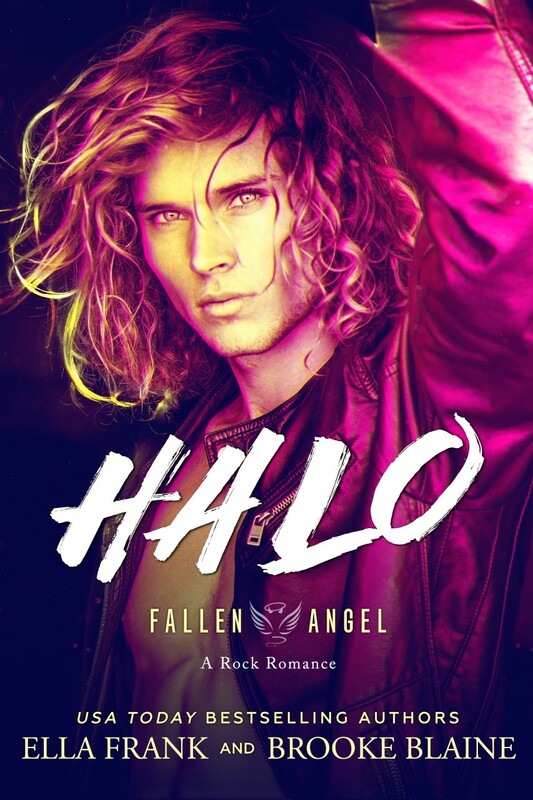 Halo and Viper’s story has only just started, and with how book one ends, it’s clear that they’ve barely begun to face the obstacles intent on preventing any connection they create from becoming anything long lasting. But Viper’s name does provide some insight into who he is and the fact he’ll fight like hell to hold onto the man he craves with his whole body and perhaps even his heart and soul.